Google+ pages officially launched in November of 2011, but two years later, they still have a long way to go. One of the main areas that could benefit from some improvement is local Google+ pages – arguably the most confusing of all the page types. Google+ Local pages can be very powerful if you know how to use them. With that being said, I’m going to clear the smoke on this often confusing digital marketing tool so that you can make proper use of it! First, let’s dive into a bit of history. 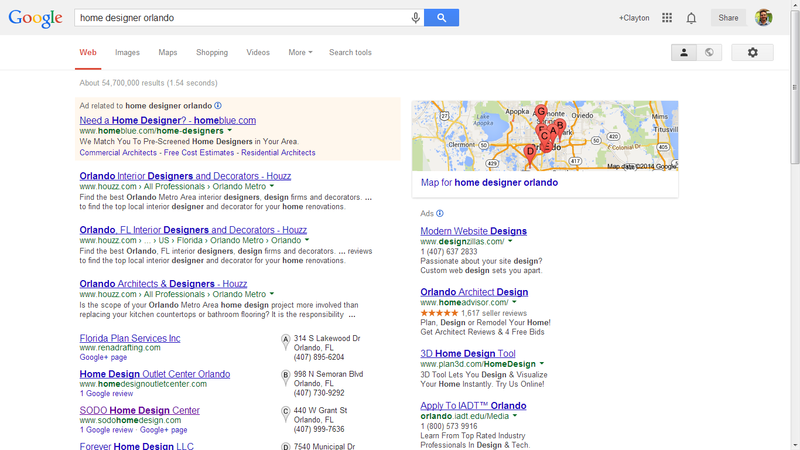 Did you know that Google+ Local pages started as Google Places in April of 2010? 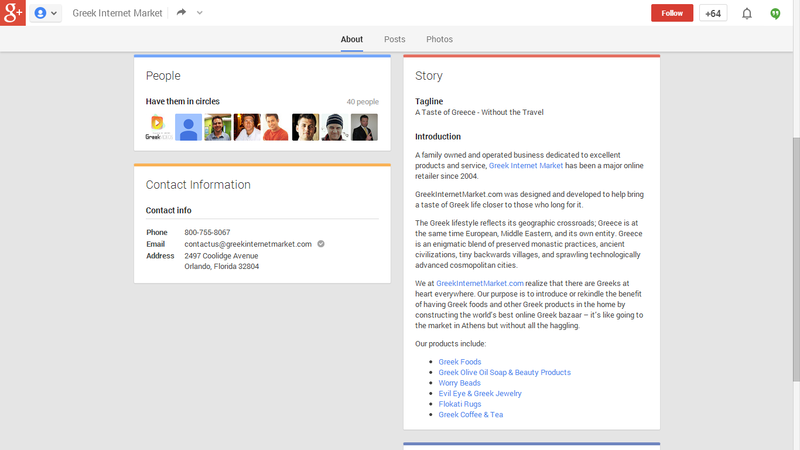 With the launch of Google+ pages in November of 2011, Google had a bit of redundancy – businesses had two pages to represent themselves with Google. This was a problem. To fix this, Google quickly began to merge the two. Now all pages that were previously Google Places listings are a part of Google+ with the Google+ design, and they are now called Google+ Local listings. You will notice the absence of the “follow” button on the top right of the page. The “Posts” tab is also missing. Both of these missing icons point to the fact that the page is just a local listing. The fact that there is no verified checkmark next to the name of the business denotes that it is not yet verified. The other type of Google listing is a verified listing. Verified listings give you the features of an unverified listing with the addition of a few social features such as the ability to share posts and engage with others on Google+. Your listing also includes a “Videos” or “YouTube” tab (if you choose in your settings that you want it to appear) along with the new “Posts” tab. In addition, verified listings receive a verified checkmark icon to let others know that it has been verified. You can see that this listing has a “Follow” button on the top right, a verified checkmark next to the name, “Posts” tab, “YouTube” tab, and sections on the “About” page for people that follow Atlantic.Net and the Google+ Communities in which they have created. You will not be able to change the category of your page after it is created, so you’ll want to make sure you choose the correct category the first time. Your only option will be to delete the page and start over again with a new page. Take my advice – get it right the first time. 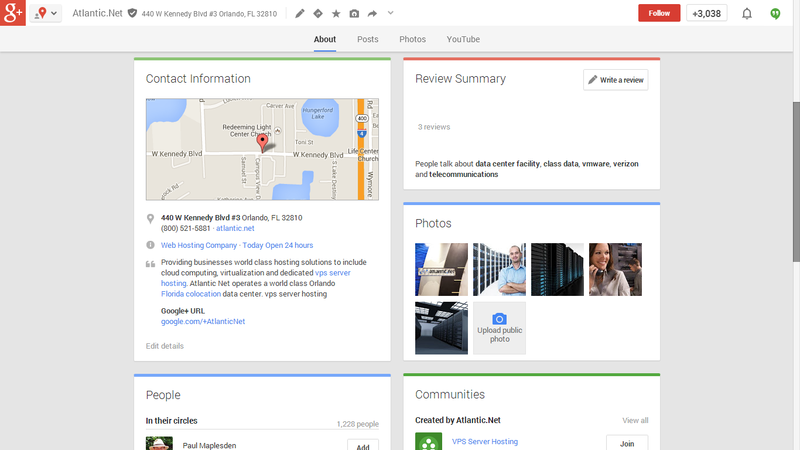 Now, when you compare a verified Google+ Local page to a Google+ Business page (seen above) you will notice that there are some distinct differences. 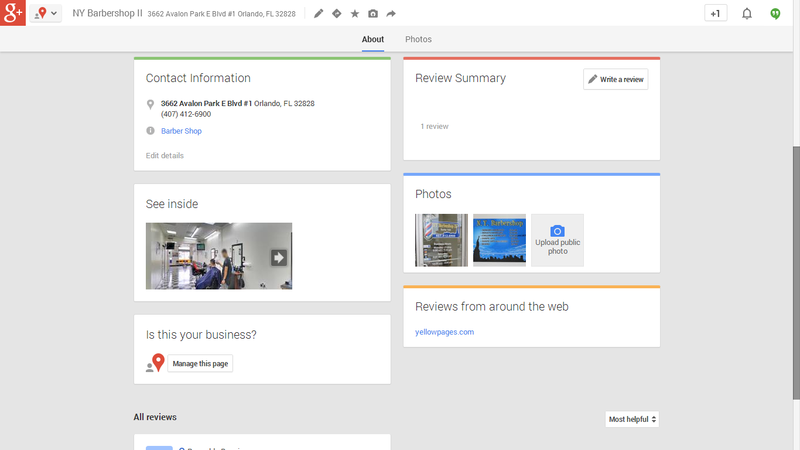 A general Google+ Business page is not as focused on the location. The address is not as prominent and the verified checkmark, reviews, map, hours of operation, and photos are all missing from the “About” page. 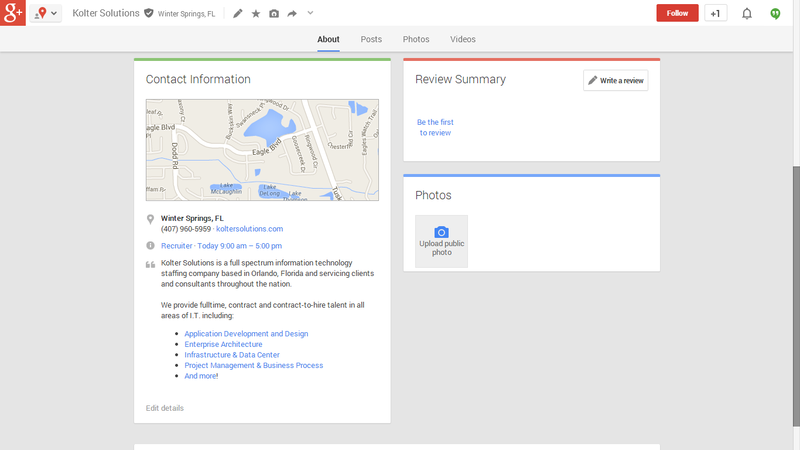 Furthermore, a Google+ Local page allows you to connect a Google Business Photos tour to your page in order to give visitors a 360-degree virtual tour of your business. This is not an option for a more general Google+ Business page. Since, a Google+ Local page gives you more features over a general Google+ Business page, you should always use a Google+ Local page if you service a certain geographical area or are open to having visitors to your building even as a rare occasion. This is especially true even if you are a home-based business as Google+ Local allows you to indicate that you service people at their locations by setting up a service area, and your exact address will not appear on your page – just your city and state. In addition to having important features such as a verified checkmark and reviews from your previous clients, your business is also eligible to appear in local Google search results (like below). Many times it can be easier to appear in the local listings than the general search results, so a completely filled and optimized Google+ Local page can indeed be very powerful. However, if your business is a large national or international corporation and you do not want your customers seeing your office, then a general Google+ Business page may be the better fit for you. This is because your location and hours of operation of your headquarters are generally not of interest to your customers. Also, you may not be as interested in reviews since you generally do not need them to persuade customers to choose you. In addition, you may be able to have your Google+ page verified by working with Google employees. 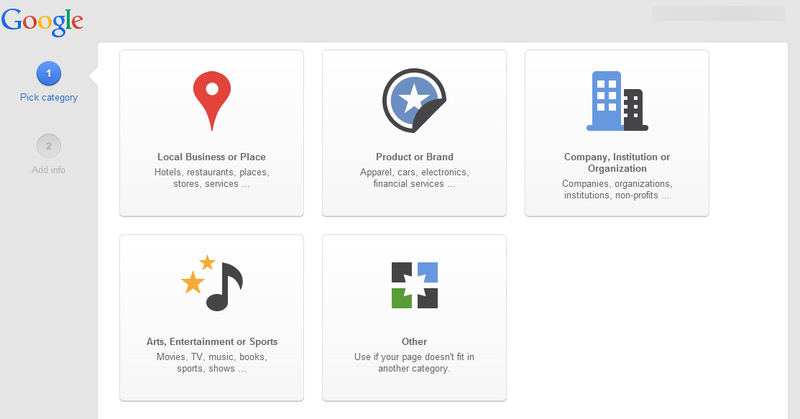 However, you should use Google+ Local pages for individual branches/franchises. The one tricky area is if you are a purely online business (your location doesn’t matter to your customers and they will never visit your location) because you may still want the reviews on your page to persuade others to choose you over your competition. In this case, I would suggest using a Google+ Local page that services customer at their location using the service area option. With continuous innovation, Google has undoubtedly proven itself to be an industry leader. Knowing which Google + pages to effectively utilize can be a valuable tool for any businessperson looking to commendably market themselves. Hopefully, Google will eventually make the process of choosing and setting up the right Google+ page for your business easier. Atlantic.Net can help you to reach your customers and clients with affordable, state-of-the-art cloud hosting services, including HIPAA compliant cloud storage, and one-click applications like WordPress.